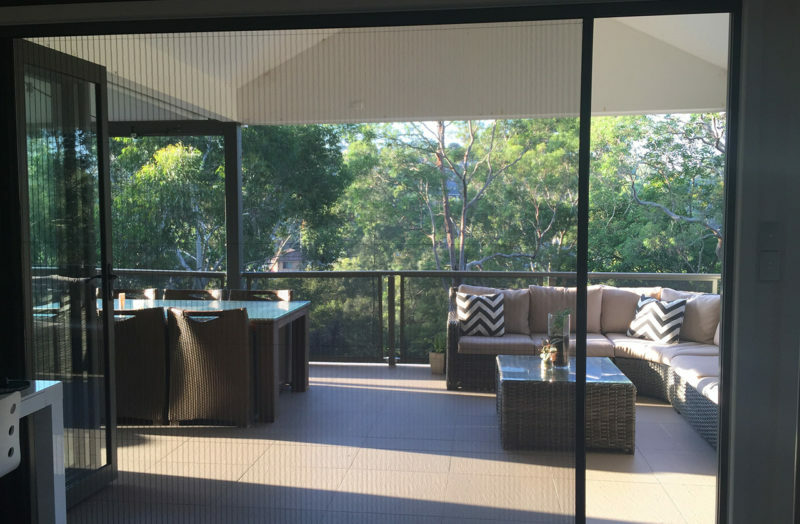 Highly effective fly and insect screens that integrate seamlessly with your home. As part of our commitment to offering the best quality flyscreens on the market, we are proud to offer durable and stylish retractable and pleated insect flyscreens, suitable for a huge variety of window and door arrangements. 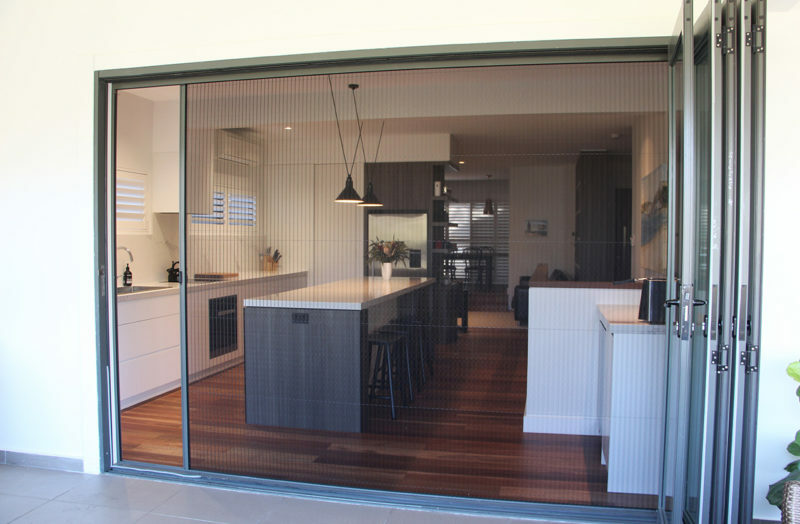 A real favourite among Australian homes that have Bi-fold doors, French doors, Stacker doors, Pivot doors, Awning windows and Casement windows. 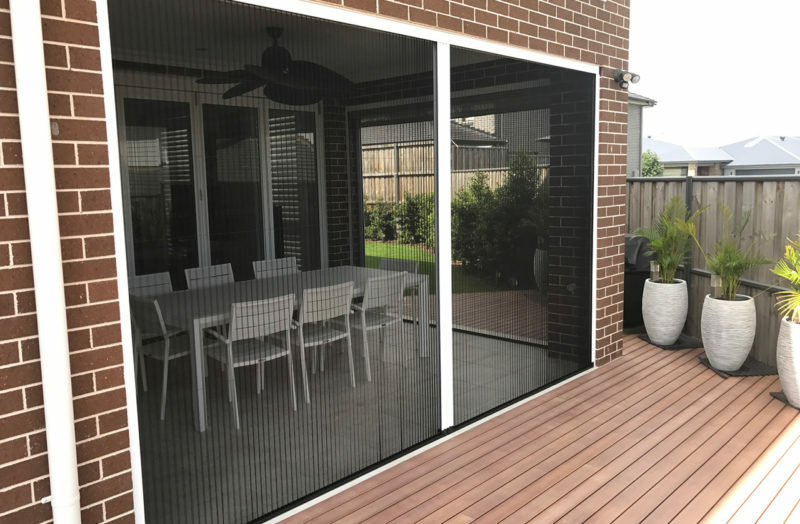 Our pleated and retractable flyscreens use a superior design system combined with an extra strong and durable mesh, engineered to last. You can trust SP Screens when it comes to keeping flies and insects at bay. A system that allows you to roll out the screen when you need it, and roll it away when you don’t. It will gently retract into the cassette which blends seamlessly with your windows and/or door frames. 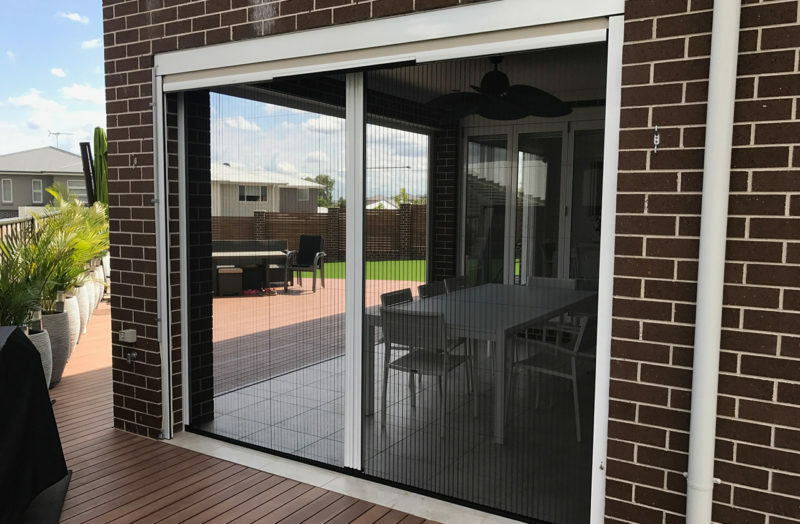 Retractable fly screens come with a 7-year warranty and are available as either a standard soft close system, or a multi-lock system. The multi-lock soft close system enables the screen to be fixed part way along the screen opening so it can be left partially open. Perfect for when you wish to create a small opening for people and pets to go in and out. A pleated flyscreen works in the same way as a concertina: by using the folds to neatly stack the mesh back into itself. When the screen is extended, a series of tensioning cords keep the mesh in position. SP Pleated Insect Screens can span up to an impressive nine metres with a double screen, and four and a half metres for a single screen. SP Retractable and Pleated Insect Screen Systems are not only affordable, but super easy to maintain as the components and mechanisms can be accessed with no difficulty at all. This ensures you can clean and service your screens, keeping them in great condition for longer. To cater for the many different sizes and styles of home doors and windows, SP Retractable and Pleated Insect Screens can be fitted in a variety of different sizes to suit individual needs. Our retractable fly screens range from extra small (suitable for screens up to 650mm) to extra large (suitable for screens up to 3200mm). Pleated screens can be fitted to slide up or slide across and can be fitted to screen large areas. SP Retractable and Pleated Screens are available in a range of standard colours. If you require a special colour, we have range of finishes available on request. Simply choose from the Dulux® or Interpon® powder coating charts. A friendly SP Screens Sales Representative can help advise on the best colour to match your property.